Police Administration provides leadership and support to all police personnel. The primary focus is to strengthen performance of management and practices within the department through the implementation of policies and programs related to crime, disorder, and public safety. The Training Department is responsible for coordinating, tracking, documenting and scheduling both in-house and off-site training of all department personnel. 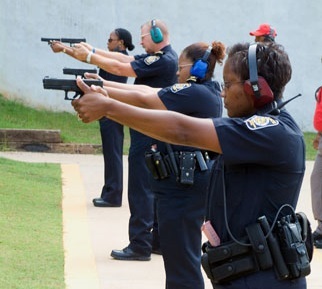 The Training Department is responsible for overseeing the new recruits, Reserve Officers, firearms training program, the field training program and assuring that all training offered and received is consistent with current laws, policies and mandates from Georgia Peace Officer and Standards Training. 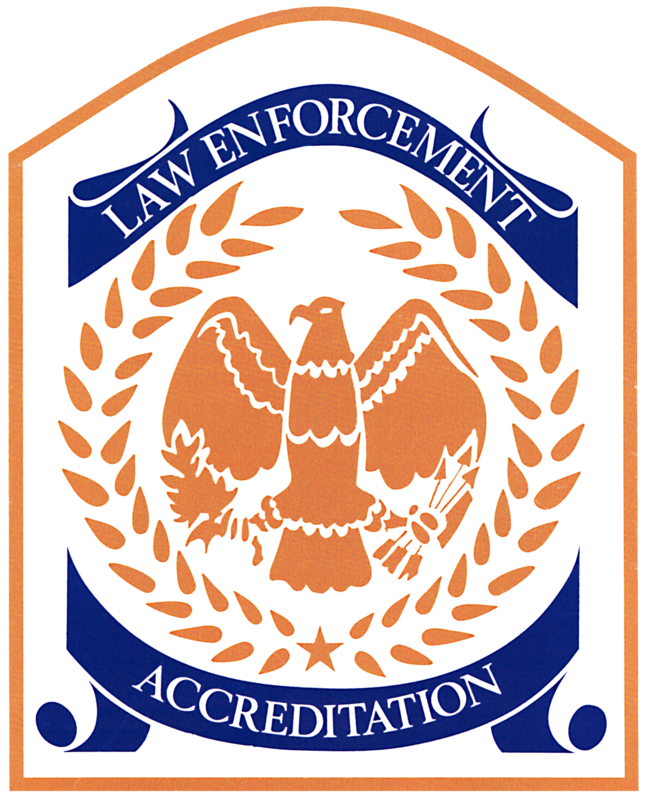 The primary objective of the MARTA Police Accreditation Department is to assist in the agency’s pursuit of excellence in law enforcement. The Accreditation Manager ensures that all policies and procedures conform to the most up-to-date law enforcement standards through our general orders and written directives. The department standards focus upon departmental policies, and operational procedures such as police training, use of force, emergency preparedness, and accountability. 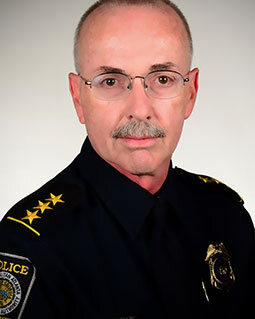 In addition, the accreditation department ensures that all Police operations adhere to the rules and regulations governed by its accreditation authority; the Commission and Accreditation for Law Enforcement Agencies (CALEA), and Georgia Association of Chiefs of Police. Whether it is a snow storm, a heavy rainfall with flooding, or a terrorist act using weapons of mass destruction, disasters can strike at any time and often without any warning. Therefore, as a major public transportation agency, MARTA’s security planning for emergencies of all types is essential to timely and effective responses and recovery. 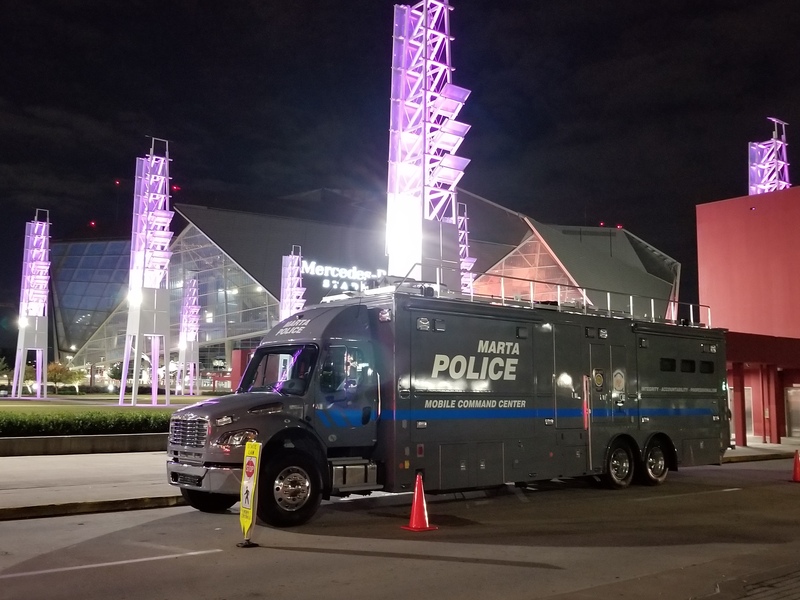 The Emergency Preparedness Unit supports the emergency management functions of the MARTA Police Department. In addition to working with multiple agencies such as the Department of Homeland Security (DHS), Georgia Emergency Management Association (GEMA), and the Federal Transit Administration (FTA), the Emergency Preparedness Unit is afforded opportunities to build stronger resources through these relationships for planning and intelligence gathering to further safeguard the MARTA transit system. The unit's goal is to provide MARTA with continuing preparedness activities and initiatives focused on hardening infrastructures, developing and implementing 21st century security strategies, and augmenting the resiliency of our entire transit agency in response to and recovery from all hazards, both natural and unnatural. MPD has adopted a layered security technology program that includes chemical & radiological detection capabilities, as well as, over 10,000 cameras that will monitor our transit system in real time. In the event of a natural or man-made disaster, or any significant event or emergency affecting MARTA, the Emergency Operations Center (EOC) will be activated by the MARTA General Manager and/or the Chief of Police & Emergency Management. The EOC serves as the Incident Command Hub and Coordination Center for MARTA’s internal and external stakeholders who staff the EOC. 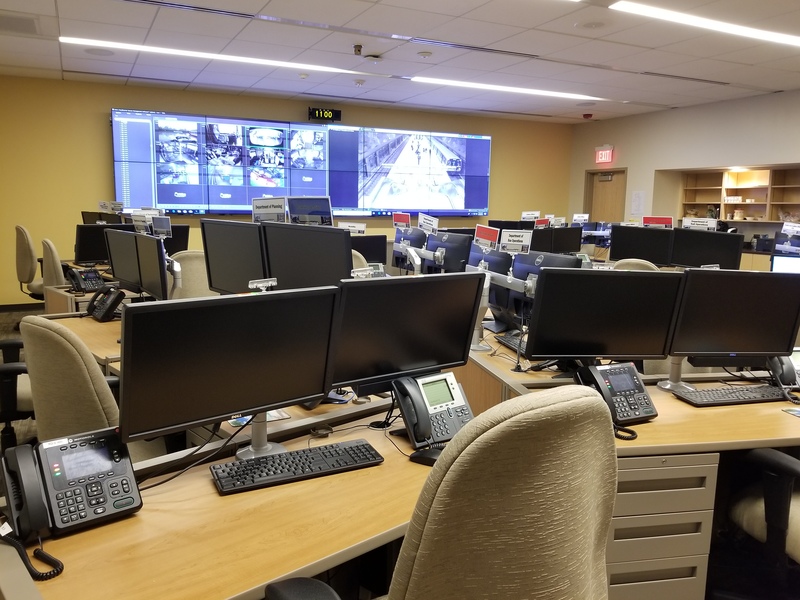 MARTA’s EOC receives, analyzes, displays, and tracks critical resources and data to provide the vital communication, collaboration, and coordination to support effective decision making. QUALIFICATIONS: Must be Georgia P.O.S.T. certified with a certification in Law Enforcement (PBLE number) with at least 5 years of full time law enforcement experience. Must meet Georgia P.O.S.T. training and firearms qualification requirements. The Reserve Officers are required to complete 20 hours of P.O.S.T. approved training and 40 hours of volunteer reserve police service annually. BASIC FUNCTIONS: Assist in day-to-day functions of the MARTA Police Department. The Reserve Officer will provide security in stations, trains and parking lots and increase visibility during special events. The Reserve Officer will serve on a voluntary/contractual basis in various assignments within the Police Department or any special detail designated by the Chief of Police or her designee. 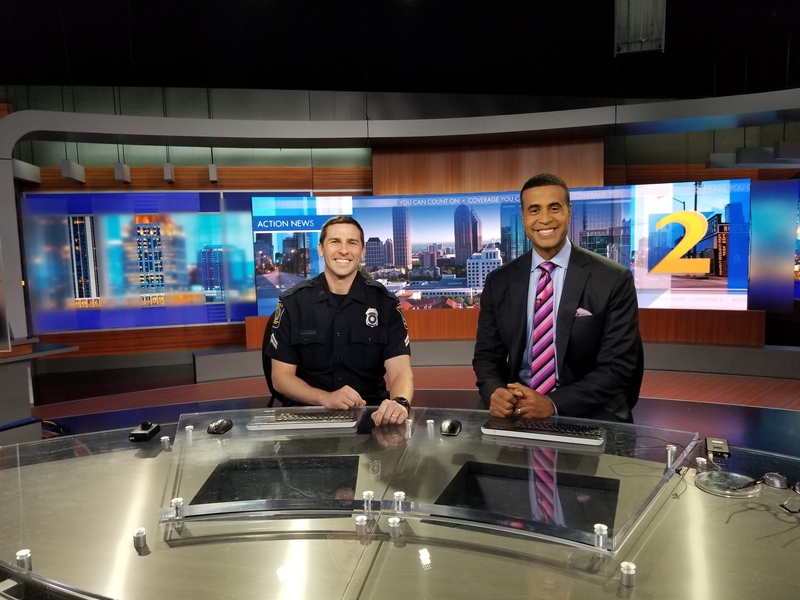 SPECIAL REQUIREMENTS: Member of the MARTA Police Reserve Program must complete the volunteer service hours and training qualification requirements prior to being eligible for paid assignments. An official investigation into the applicant’s background will be conducted, including a criminal history records check. A physical examination, including drug/alcohol screen, psychological test, and credit investigation will be required. Must possess a valid driver’s license. Must be able to speak and communicate clearly and perform all aspects of the position of Police Officer. MARTA Protective Specialists provide a secure and safe work environment and protect the assets, employees, and visitors to the MARTA Headquarters and the MARTA Annex building. 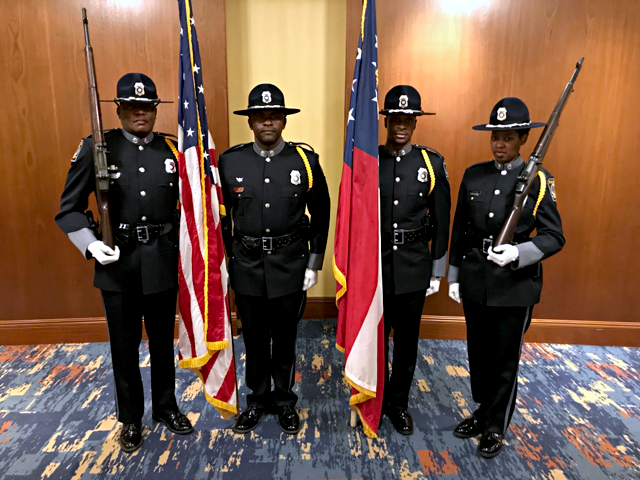 The MARTA Police Honor Guard provides the Department with a specially trained ceremonial team to render honors, preserve tradition, stimulate Esprit-de-corps and instill pride. The Honor Guard provides guidance while conducting ceremonies and establishes a specific sequence of events during those ceremonies. The unit provides a highly trained, specially uniformed group of motivated officers who perform the particulars of these important ceremonies. The Public Information Officer is responsible for the department’s internal and external communication, including media relations and social media. The Background and Recruiting Unit is responsible for finding eligible candidates for the police department and assisting them through the hiring process. The unit conducts thorough background investigations to make sure only the most qualified applicants are selected to join the department. The Police Communications Center receives multilingual emergency calls, complaints and inquiries from the public, and evaluates the information to determine the appropriate response. Police Communications is also responsible for answering over 1,200 assistance phones in the system including emergency silent alarms, call boxes and elevator phones. Police Communications is available 24 hours a day and 7 days a week. 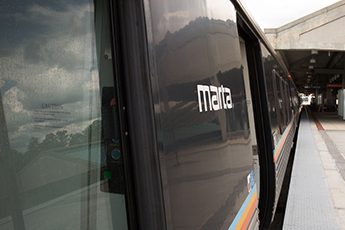 Use MARTA's See & Say app to report suspicious activity or behavior. Download for free from the App Store or Google Play Store. The Police Records team receives and maintains all documentation generated by the police department including accident reports and incident reports. The Police Records team is responsible for providing copies of reports to the general public and the legal department. Police Records is available Monday through Friday 9 AM – 5PM. The MARTA Police Property & Evidence Unit (P & E) has two sworn officers assigned to the Property and Evidence Unit. They are responsible for control and inventory of all Property and Evidence within the department. For additional information please go to the FAQs page. The Fleet Coordinator is responsible for maintaining police vehicles and police keys. He is responsible for ensuring all equipment is prepared for emergency, as well as keeping the Police fleet current with preventive maintenance.